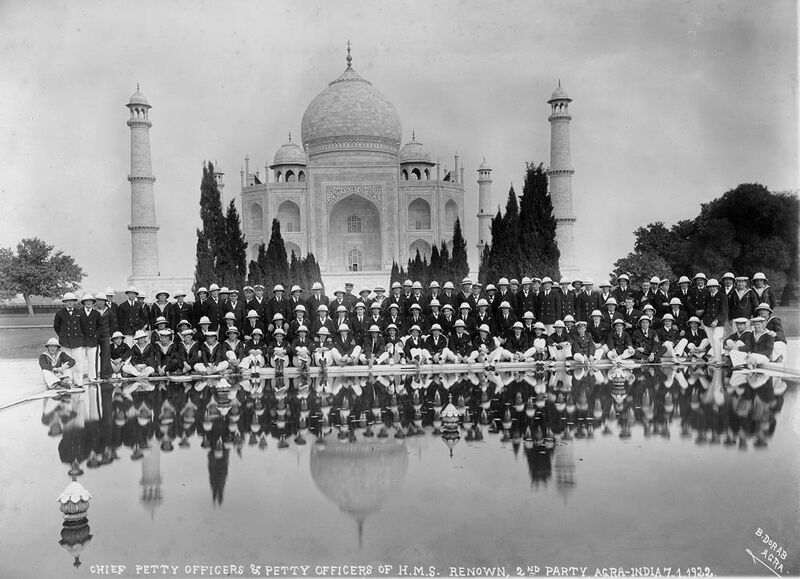 Chief Petty Officers and Petty Officers from the battlecruiser HMS Renown (launched 1916) pictured in front of the Taj Mahal, 7th January 1922. This Officers from HMS Renown at the Taj Mahal Art Print is created using state of the art, industry leading Digital printers. The result - a stunning reproduction at an affordable price.